In hot event for swapping flashy cards from HoC i was able to swap only 3 flashy 7 of hearts and 3 flashy 7 of spades. Why is that ? 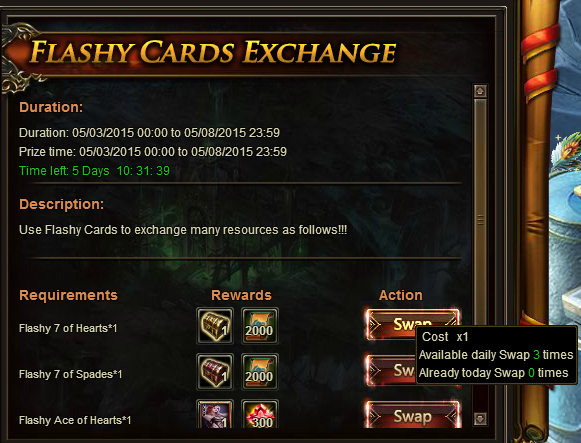 (the swap button inactive) Why are u giving cards that can\'t be swapped and u try to force us to use otherwise? Pls fix it asap. By the way, in the hot event is not stated that there is a limit for swapping so do not abuse us. It does say how many swaps you get, and you should consider yourself lucky. 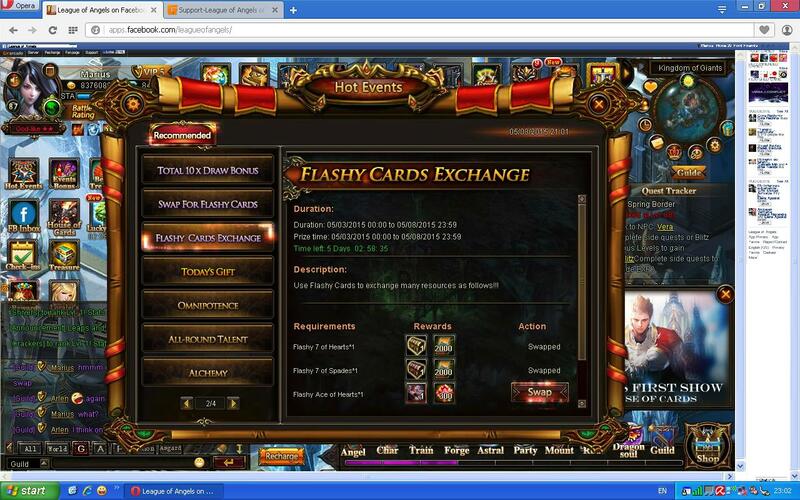 I used my cards when flashy cards first came out, and at that time it was limit 1 swap per day. yep, rufus is right, the ony other way to use is swap in HOC for stones or dragonsoul. (which are way overpriced);otherwise they are waste at end of event. wish they would revert to regular 7\'s but doubt they will do that. 2019-4-19 17:21 GMT+8 , Processed in 0.060755 second(s), 40 queries .